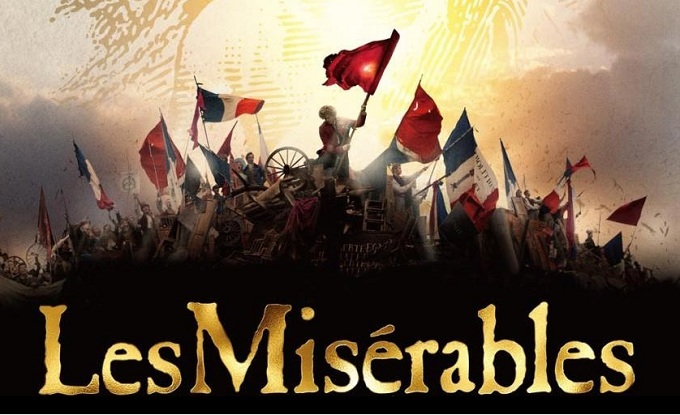 Les Misérables is the longest running musical in history and its success is a testament to the story and the incredible musical numbers that expertly guide the audience through this complex tale. Tom Hooper has embraced this and done a valiant job in making it more widely available through the silver screen. Although it’s difficult for some of the wonders of the theatre production to have the same impact on screen, it’s certainly interesting to see an ambitious an surprising translation. By far the standout performance is from Anne Hathaway, in fact her portrayal as Fantine is Oscar worthy. She managed to reduce an audience to a quivering wreck throughout I Dreamed a Dream. The raw desperation in her performance will move even the biggest sceptic. Even dedicated fans of the stage show will never have seen a performance quite like this and we challenge anyone to not shed a tear throughout this song. The power that Hathaway possesses is also enhanced by intimate close up camera work. Hugh Jackman is incredibly competent as Jean Valjean, he guides the audience with ease, and delivers some impressive vocals. Out of Hollywood’s hot pickings, there is none more suitable than Jackson who, we must not forget has his roots firmly planted in Musical Theatre. Baby faced Eddie Redmayne is also a pleasant surprise, demonstrating that his choir boy days at Eton have served him well. He embodies Marius with ease and sends an exemplary chill down the spines of the audience throughout Empty Chairs at Empty Tables. West End star Samantha Barks also shines as Eponine. Who would have thought that a spot on BBC’s I’d Do Anything would have seen her just a few short years later be part of a major Hollywood film. Helena Bonham Carter and Sacha Baron Cohen delight as Monsieur and Madame Thenadier, and provide the light relief necessary throughout the film. Cohen is particularly standout with his ad-hoc one liners and surprisingly good singing voice. However the film’s biggest surprise has to be Russell Crowe. Huge skepticism surrounded his casting as Javert, however, although clunky at times, he delivers an impressive performance. Overall this film rests, as it should, on the ability of its cast members, but Director Tom Hooper brings to life a convincing 19th Century France. Some of the settings, particularly the rounding up of revolutionaries (shot in Greenwich) is visually spectacular, and you feel the excitement building for the big barracade showdown. However, when this climatic spectacle finally arrives, it’s slightly underwhelming. The enclosed streets look to much like part of a set, detracting from the marvel of the scene. It’s is a shame, because fans who are very familiar with the stage production will be particularly observant in these key moments. Hoopers’ camera angles at times are also interesting. He mixes some of the most simple shots with elaborate showboating. Ironically, it is the more simplistic work, which demonstrates his talent more effectively. It’s at least interesting to see what works better on stage and on screen. The magic of the theatre is about pushing peoples imagination, and scenes like the sewer are not as impactful in the film version. On the flipside, the visual portrayals in Master of the House really help elevate the song and the comedic element to the scene. Overall this is a strong attempt at bringing the world’s most beloved musical theatre experience to a cinematic audience. The film does have faults, but they are in no way damning to this pleasing production. Nobody has brought this musical version of the Victor Hugo novel to the cinema successfully before, but Tom Hooper has done an excellent job aided by a gifted and well chosen cast. Although think there are many strong contenders for best picture at the Oscars this year, Les Misérables should be a regular fixture at next year’s awards ceremonies.